The Herdade adopted a young and enthusiast kitchen's team that privileges the traditional gastronomy and the typical dishes of this region although not neglecting some contemporaneity, managing a cuisine that meets and exceeds the highest standards of quality and functionality. One of the main assets of this kitchen is the wood stove of the Herdade that adds textures and aromas that no industrial stove could offer. The building that houses the restaurant is dedicated to the outside, enhancing the surrounding landscape of the Herdade do Esporão with gardens connecting the vineyards and the cellars. The architecture of the restaurant is admirably integrated in the peaceful landscape of Herdade do Esporão. The restaurant is opened for the outside, taking advantage of the local materials in the definition of its own space, privileging the authenticity and the comfort of visitors. The restaurant's menu rehabilitates the traditional Alentejo recipes, some of which are already forgotten, privileging and using quite exclusively local ingredients. On the main wall of the restaurant, and all over the building, we can admire the original paintings that illustrate the labels that adorn the bottles of Herdade do Esporão since 1985. The wide terrace of the restaurant Herdade do Esporão ends where the vineyard begins, and allows to enjoy a panoramic view over a large lake. It is perfect for outdoor meals, enjoying the long sunny days of Alentejo and the tranquillity of a landscape that stretches far out of sight. From Lisbon take to South the motorway A2 (25 de Abril bridge) or A12 (Vasco da Gama bridge). 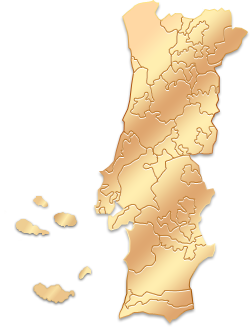 Take the A2 and then the A6 - Évora. Take the exit at Évora. In Évora, take the road IP2 towards Beja IP2. Drive 16 km - take right towards Reguengos de Monsaraz - Spain (the road ahead goes to Beja and Algarve). After approximately 20 km you will arrive to Reguengos de Monsaraz: Drive around the 1st roundabout, turn right and skirt the 2nd roundabout, ahead. On the 3rd roundabout turn right direction Esporão and follow a secondary narrower road. Enter the gate of Herdade do Esporão and follow the Enotourism directions (asphalt road). "Simplesmente maravilhoso! Fomos atendidos cordialmente, degustamos uma refeição sofisticada e contemplamos o pôr-do-sol especial do local. Nota 10!" "When you are traveling in the Alentejo and staying near Evora let me tell you (i.e. the reader) how to spend your day in a most memorable way. Leave early in the morning, take your car and drive eastwards on the N256 beyond Reguengos to Mourao on the Spanish border. Two kilometers before you cross the bridge over the lake you take the road up the hill to Monsaraz ( a short drive). Up in Monsaraz, you park your car outside the city walls, and take a walk through the tiny village, an assembly of beautiful white houses, to the fortress. From there you will have one of the most spectacular views in the country, over the lakes into Spain. If you have time left you can drive back and cross the bridge to Mourao, if not go straight back to Reguengos ( a 20 minute drive) and have lunch at Herdade do Esporao, one of the leading wine estates in Portugal. Delightful surroundings and a terrific lunch. Make sure you book in advance."